When it comes to literature, I am a compulsive consumer. 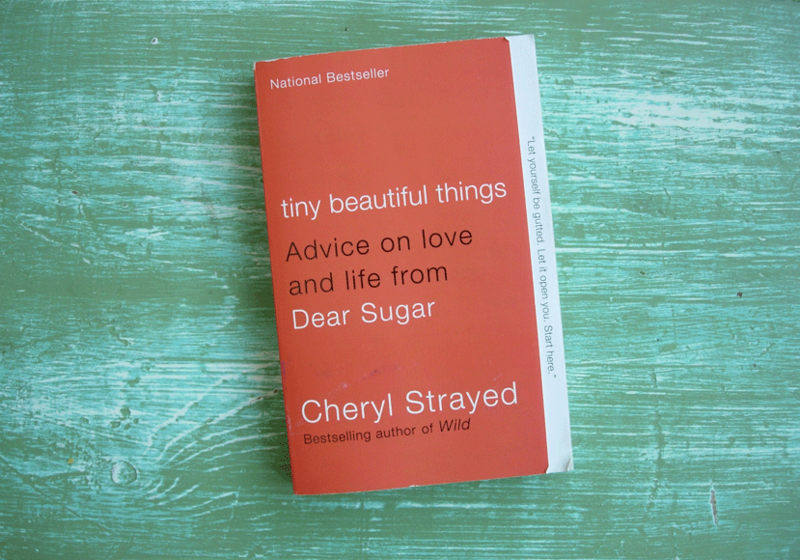 This morning, just as I reached my tube stop, I finished reading Tiny Beautiful Things: Advice on Love and Life from Dear Sugar. After the familiar sigh had shivered through me, something unusual happened. Instead of mentally scanning my shelves for my next literary adventure, I wanted to flick back to the beginning and start again, devouring the words with a new understanding. I wanted to grab the person behind me on the escalator and implore them to read it. I wanted to buy 50 copies of it and send one to everyone I know. My finances not permitting that final impulse, I settled for a more sensible option. Blog post.